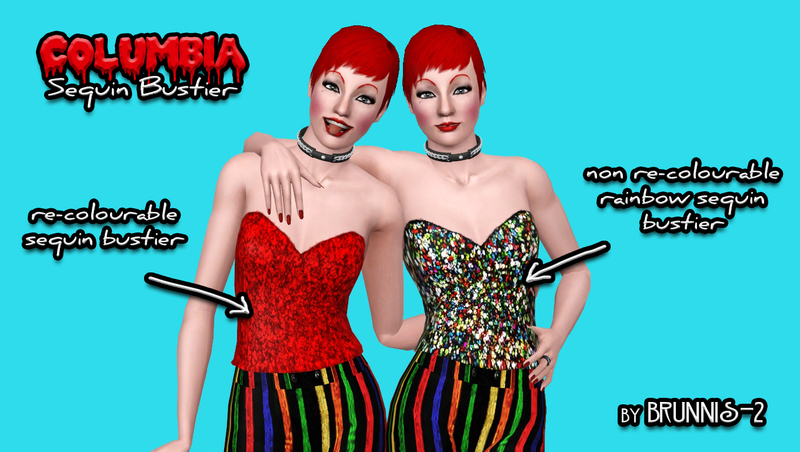 This cheeky little Sim is based on Columbia from the Rocky Horror Picture Show and comes with custom costume parts included in the download. 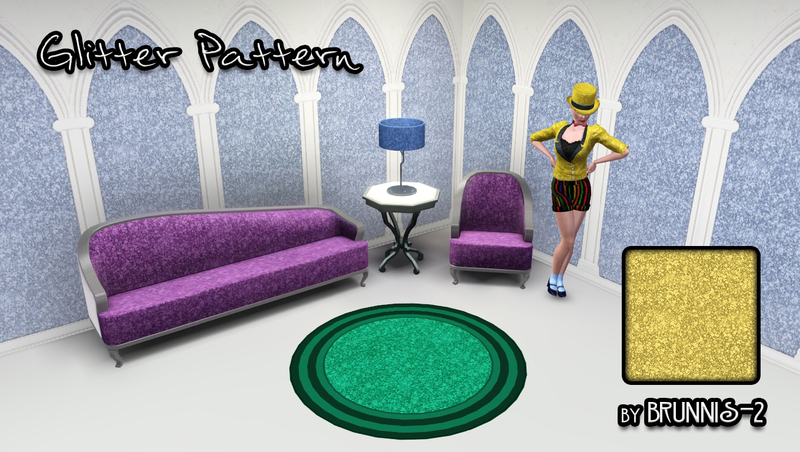 Alternatively, if you want to make your own Sim, the costume parts are also offered separately from the download page. The CAS parts included here are retextured EA meshes. Rainbow sequin overlay (non re-colourable), hand painted in Photoshop. Plain colour sequin texture (one channel re-colourable). For the best results, choose a 2-colour paint pattern and use two shades of the same colour. Textures: Rainbow stripe overlay (non re-colourable). Hand ‘stitched’ in Photoshop. Textures: Sequin/tap overlay and socks hand painted with Photoshop. Channel Info: 3 re-colourable channels on socked version, 2 re-colourable on shoe-only. This Sim includes clothing, makeup and personality traits from Ambitions, Late Night, Showtime, Supernatural and 70s, 80s & 90s Stuff. Base-gamers will still be able to install this and select their own replacement items/traits. Traits: Ambitious, Commitment Issues, Excitable, Flirty, Social Butterfly. B2_ColumbiaBustier.zip | Description: Columbia Sequined Bustier. Includes rainbow sequin and re-colourable option. B2_ColumbiaStripedShorts.zip | Description: Columbia Striped Shorts - non re-colourable. B2_ColumbiaTapShoe.zip | Description: Columbia Tap Shoe - With and without sock, re-colourable. B2_GlitterPattern.zip | Description: Glitter pattern, for a bit of sparkle in Columbia&#039;s gold attire. Place .sims3pack files in My Documents>Electronic Arts>The Sims 3>Downloads and install via the launcher.